Earlier this year I had the pleasure of visiting Barcelona, Spain for the first time. Being in my early 30’s I am somewhat embarrassed to say that this was my first voyage outside of the United States – well, other than a trip to Canada when I bought my Harley and a trip to Mexico that I don’t remember. On top of this being my first true excursion on international soil, I was also traveling alone. Of the people I talked to prior to my trip that had visited Barcelona, one theme was common – beware of pick pockets! One of my colleagues had just recently visited Barcelona with his wife and he shared a story about being at an outdoor market when he felt something. He looked down to see a woman with her hand stuffed into his shorts pocket as she was trying to swipe whatever she could find. Even though there were multiple people that shared stories of being the victim, or target, of pick pockets, I really wasn’t all that worried about it happening to me. For some reason, I am often told that people find me intimidating (even though I honestly don’t understand it as I’m not much different than every other guy). Some find the shaved head intimidating. Some find the earrings and tattoos intimidating. Some find the goatee intimidating. Whatever the reason, I let the perception that others have of me as a big, burly (isn’t that the nice way of saying overweight?) guy give me a false sense of confidence that nothing would happen. After the conference had ended – yes, I was there for work – I extended my stay another day and a half to enjoy the history and tourist attractions. Throughout my stay, nothing had happened that would have given me reason to be concerned about being out late at night. So as my last night was winding down, I decided to walk over to Port Olimpic for a late dinner. It was approximately 11:00pm as I strolled along the marina heading for the restaurant. There were two guys walking toward me; as they approached one of them extended a card to me for a local club. I declined the offer and continued walking. Hearing my American accent, he figured he had a ripe target and turned to walk with me. As he talked to me, he put his arm on my shoulder and then he began to sing a song about Barcelona as he was kicking my leg, indicating it was some kind of dance or something. This guy had crossed the line and I pushed him away from me. Instinctively I touched my back pocket just to check my wallet…and it was gone! The guy lifted my wallet without me even feeling a thing. At this point I turned and yelled at him as I began to chase after him, which brings me to the best travel tip for your next trip to Barcelona. With the multiple warnings about pick pockets in Barcelona, I decided to carry all of my cash, identification, and credit card in my front pocket. I didn’t stop there though, I emptied out an old wallet and carried it in my back pocket. The empty, dummy wallet turned out to be a brilliant move. The pick pocket that targeted me thought he lifted my wallet and was off with all of my cash, yet all he had was a wallet with a little pocket lint and nothing else – except me chasing after him. The funny thing is that when he realized it was empty, he stopped and threw it back at me thus ending my pursuit. Why I was chasing after him for taking an empty wallet is beyond me – but the rush of adrenaline had me wanting that empty wallet back and I was ready to fight for it. So, I can personally attest to the fact that pick pockets will target anyone and I can tell you that they are damn good at their craft – I didn’t feel a thing as this guy lifted my wallet. But with a little bit of pre-planning, you will be strolling confidently through the streets of Barcelona with your belongings tucked safely in a front pocket or a zippered case hanging around your neck and the dummy wallet in your back pocket. When a pick pocket tries to rip you off, you can laugh quietly as he darts away with your empty wallet (or you can chase after him for taking something that belongs to you, but I recommend the quiet laughter). Hopefully this never happens to you, but if it does you will get the last laugh. We should always be wary of anyone that’s get too close to us. .-= PalabuzzÂ´s last blog …Heart Evangelista bagging the trophy on MMFF =-. Generally speaking that is good advice. Thanks for stopping by. thanks for giving best advice for traveling…i remember this. You’re welcome; hopefully you never find yourself in need of this tip but will be prepared nonetheless. Really nice tip! It’s amazing how good they are at what they do. .-= Kelvin KaoÂ´s last blog …Merry Christmas =-. Hey Kelvin, great to hear from you! In an odd way, you almost have to admire their skill at their craft – if only it didn’t cost people money and grief. Great tip! I wonder where we can make fake iPhones, BB’s and the like? So when they try to swipe it, all their efforts will be for nothing. It is funny you mention that, as after this happened I was sitting at the restaurant and must have checked that I had my phone about thirty times and reassured myself that I left the camera at the hotel another twenty or so times. I guess it’s time to make a dummy phone then! I’ve known about your blog for years but never looked at it before. I guess I never got around to it since there are so many in this space. I was doing some work on Linkshare webservices and came across your LS script (nice one btw). Then decided to give the front page a look and saw this post. I started my web business while living in Barcelona (I’m American though). BCN is great city and has a lot to offer. Pickpocketing is pretty rampant on that walk to Port Olympic as well as along the Ramblas . The thing I LIKE about Euro-crime though is that it isn’t usually that dangerous, even when it gets physical. I had more indents than I can count when I lived in BCN, I never lost a penny and never got hurt. As you mentioned, it’s all about confidence. There is no way that would happen in my home town of Houston if I were in similar situations. Marc, thanks for stopping by and sharing your feedback. Glad to hear that you found the LS script; hope it was useful for you. How long did you live in BCN? I’d really like to get back for an extended vacation to see more of the city and surrounding area. I do think you’re right that much of the crime is non-violent crime, but nonetheless is best to avoid if at all possible. I lived in BCN for almost a year. I’d like to go back for some extended stays myself. I’d probably rent an apartment in the Born or in Gracia for a few months. If you want to stay more than a week or so, I’d advise finding an apartment in a happening part of town. There are lots of nice day trips you can make from BCN as a base to other parts of Catalonia. Great tips i just love it keep posting. Thanks for stopping by, hope to hear more from you. The rubber band is a good idea as that would make it more difficult to slide out of your pocket. Every little bit helps. Thanks for sharing! Nice experience you had ! Beware of pickpocket next time ! Learned to keep my wallet in my front pocket while visiting NYC in 1989. Have followed that rule ever since when traveling. Even better, doing as suggested and just keep id, insurance card and money in front pocket and not even take a wallet. .-= Brian H. hopes you will read… Hollywood A-Listers Go Platinum at the 67th Annual Golden Globe Awards =-. When I was traveling to Spain and then to London, I really cut down and only carried the essentials. In the event that I did lose my things, or have them stolen, it also means less to report and change. Thanks for the comment Brian! great trips!nice experience you had! !thank you for your advices!! Good advice. I’ve always carried my money/cards in my front pockets (normally jeans as well – so harder to pickpocket). Had a wallet lifted from my pocket in Paris years ago, lesson learnt! When you really step back and look at the “art” of pick pockets, it is really rather impressive how easily they are able to lift things from your pockets without you even noticing. Hope it wasn’t too much of a hassle losing your wallet in Paris. I love the dummy wallet tip, good idea. Weirdly enough I live in Catalonia and have yet to have a day out in Barcelona after being here for 5 years!!! .-= Dave hopes you will read… Get Paid To Take Paid Surveys Online =-. Ha, that is interesting. It is funny how often we don’t partake in the attractions that are so close to home. I thoroughly enjoyed my time in Barcelona and look forward to making a return visit. .-= grow bonsai trees hopes you will read… Hello world! =-. That’s a hoot! You turned a potentially trip-ruining experience into a blog-worthy adventure. 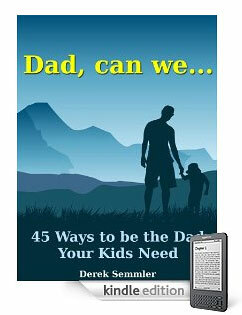 .-= Bob @ 22″ HDTV hopes you will read… CommentLuv, KeywordLuv, DoFollow Friendly Site =-. Now that could make things interesting…I like the way you think Bob! Hey, thanks for the great tips man! And what interest me is the pickpockets. Seems like they can do their stuff in any place and any time. And this one of the biggest fear of all travelers no matter where we go on our vacation. .-= GHR1000 hopes you will read… Does HGH Supplements Help Children To Grow Taller? =-. Exactly…I had talked to a co-worker who had been in Barcelona not too much earlier than my trip and he said he caught a woman trying to steal his wallet as well. He and his wife were at one of the outdoor markets and were standing at a table. He never felt a thing, but had looked down and there was a woman with her hand inside his pocket. Hah – that’s a nice gig you pulled, I must say. I do hope your visit otherwise was fun. .-= Phillippines Travel Guide hopes you will read… If you register your site for free at =-. My visit was fantastic….great sites, great food, great people. Even this experience has its place as a funny story. From the hotels right on the water to the dinner in the Picasso museum (and finding the Picasso museum on foot), this was a great trip. Unfortunately it’s very common in Barcelona, especially in the Ramblas, Sants station and the airport. I’ve been lucky enough not to have suffered but I know plenty of people who have lost their wallet, bags, cameras etc. .-= david@Barcelona football tickets hopes you will read… Video: Guardiola on BarÃ§aâ€™s recent form =-. The pick pocket is terrible.However,it’s a bit funny when you trick them. .-= Ray hopes you will read… 3 cara bekerja dari rumah melalui internet =-. Ha! What a great story! Me and the Mrs just got back from Barcelona and we loved it! I must admit that I was really wary because of all the stories I’d heard about pick pockets etc. NOT a problem in the world! However, one can NOT be too sure in this world of ours. The fake wallet technique is GOLD! That is awesome. I am going to remember that one and use it when traveling. But what I would be doing is writing some kind of obscene note (in the local language) in side the empty wallet to really stick it to them. And seeing how many times I can get pick pocketed. .-= Chris Chong hopes you will read… How to Design an Email Blast =-. The thing is, travel is my second love, so when I saw your title I had to stop and read it! Boy was I ever glad I did…you sound a lot like me (except I’m female & I hope not intimidating to other people) but I mean in the fact that people are always warning me about the dangers in different things & I pretty much just blow them off. Like “Nothing bad’s ever going to happen to me.” But for some reason your article hit home with me! I’ve never been to Barcelona, or anywhere in Spain for that matter, but I’d dearly love to go. You can bet tho’ that when I do I’ll be very aware & prepared for pickpockets! Thanks Derek!! People should always be aware of pick pockets, they can be anywhere!! Anyone at any time can have such experience. Most of the the people cant react to it at that moment. By sharing this post u did a good job. It will be a warning for others. Your idea of dummy wallet is just brilliant, I must say thanks for that. Thanks for the tip…I’m off to Barcelona on Sunday and it will be my first time in Europe too. I shall stay vigilant and watch my pockets/wallet – cheers! This would very helpful for those who have plans or are going to Barcelona, Spain in the future. I have never heard of this before and I am glad I have found out about this as early as now. Who knows destiny might bring me there in the future? But I know now what exactly to do so I am not really worried. Thanks! You’re spot on about the pickpocketing in Barcelona – I’ve heard countless horror stories about it from my friends who’ve been there. Saying that, it’s a beautiful place, and as long as you’re careful you should be okay. Well, this is when you thank whomever discovered the internet! I didn’t know much about the pick pocketing in Barcelona because I haven’t heard of it. Thanks to you, now I know. The info comes in handy for those planning to visit Barcelona in the future. Thanks a bunch. My Dad was pickpocketed on a trip to Spain several yearrs ago and they worked as a team to distract him, knock him down and while one was helping him up another took his money which was unfortunately in a wad in a trouser pocket! I use money belts and am always on the lookout for this kind of tactic when travelling abroad. Great idea about “dummy wallet”.Nice post. I personally have never been to Barcelona but I have traveled other places in the world (mostly Central America) and right now I live in Nicaragua. 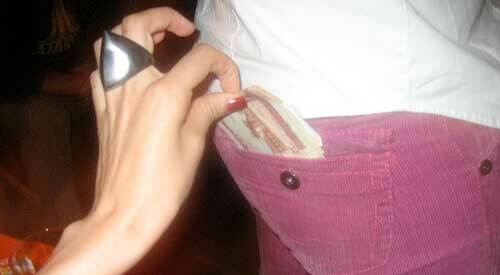 I have never had my pockets picked but I know of many others who have, for the most part Nicaragua is a pretty safe country but there is quite a bit of pick pocketing during the holidays. The dummy wallet is a really great idea because they almost always go for the back pocket! There are some places in Nicaragua (especially the Capital) where it would be a good thing to have a dummy wallet just so they take that and don’t kill you for your real one! I remember La Rambla in Barcelona. I once got pickpocketed in Paris on the Metro, and again, didn’t feel a thing. It was kind of scary in general, with the girls and their guys. The place on the whole is beautiful, but that end of the city turns into something different at night. Front pockets is the way to go. In all my travels I have had great luck and never gotten my pocket picked (that I know of, there have been a few…. blurry nights). I seem to hear about pickpocketing a lot more in Europe, where we are headed this winter. Hopefully all the coats and sweaters keep the thieves away!